ST. LOUIS - Carl Cunningham believes in law and order. “It’s a calling,” said Cunningham, a police sergeant and 10-year veteran of the St. Louis Police Department. Born and raised in the city, Cunningham is assigned to protect Mayor Francis Slay. But lately, that desire to work in law enforcement has taken a new turn. 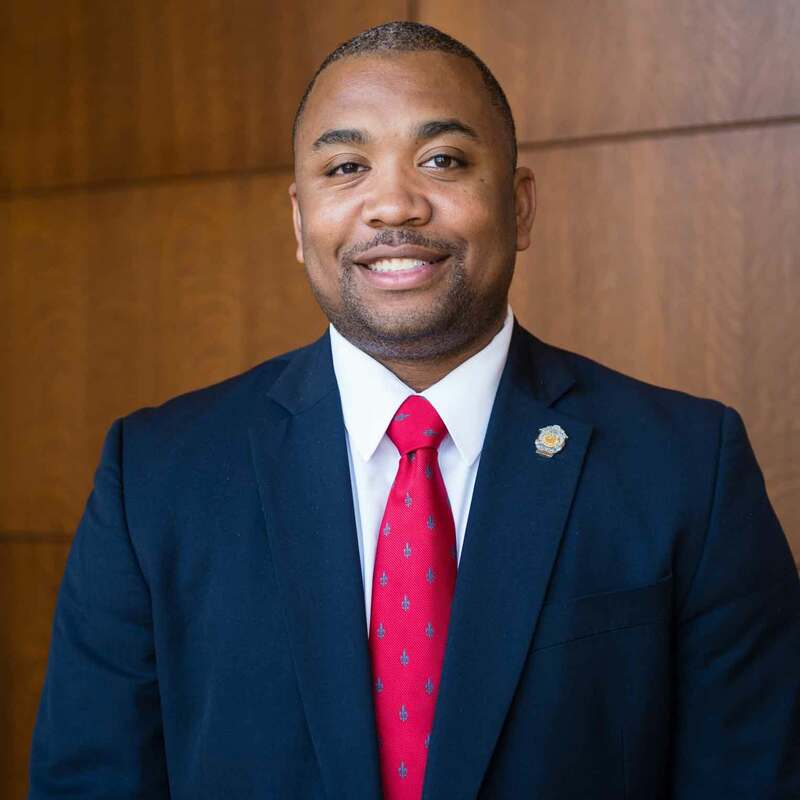 During the past year, he has spent his nights at Webster University’s Gateway Campus in downtown St. Louis as a student in the Legal Studies graduate program. He hopes the degree will further his career and possibly even open new paths for him. After high school, he joined the Army Reserves, which he is still enlisted today. He later completed his bachelors degree in Criminal Justice at Lindenwood University. “Even as an undergraduate, I realized that my passion for the law was becoming more intense and that I may want to practice it on a more in-depth level, possibly even law school,” he said. After graduating basic training in the army, he joined the police force, a job that he loves, he said. It allows him to interact with a diversity of its citizenry and has helped him appreciate St. Louis even more, he said. Being assigned to the mayor’s security detail was an honor, but it keeps him very busy in the day. Then he learned that Webster University’s Gateway Campus in downtown St. Louis has a legal studies program. “The legal Studies program at Webster University, in my opinion, offers me the opportunity to gauge a more in-depth legal learning experience to help me decide if I am ultimately ready to pursue a Law School endeavor,” Cunningham said. If he does pursue a law degree, he hopes to apply it to his job in the Police Department. But if he decides that law school is not for him, he still believes the Webster program has enhanced his skills. For more information about the Legal Studies Program or any other program offered at the Gateway Campus, visit www.webster.edu/gateway.